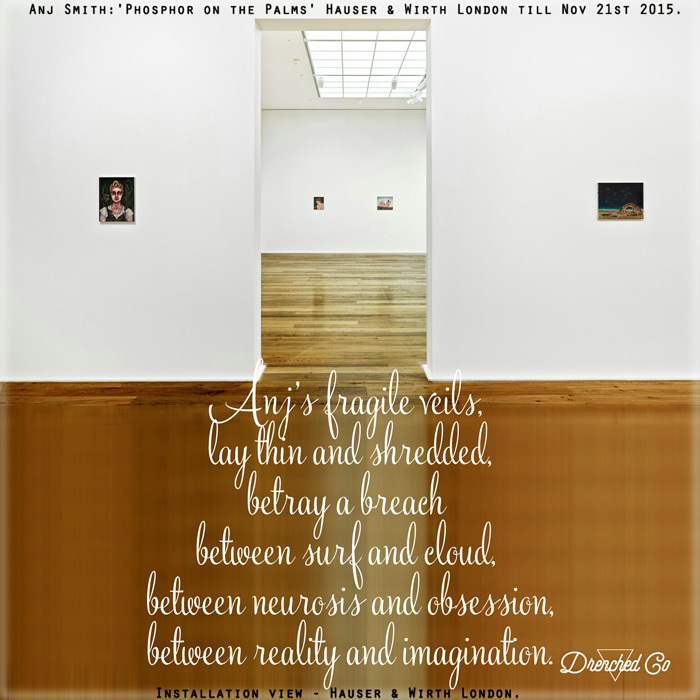 Wounds that Bind: Exhibition Review - Anj Smith:'Phosphor on the Palms' Hauser & Wirth London till Nov 21st 2015. Key: See the poem ‘Fabliau of Florida’ by Wallace Stevens (1879 – 1955). Caption: Installation view - Hauser & Wirth London. Image Courtesy of the artist and Hauser & Wirth London.